That concentration is likely to increase in the coming years as the wealth of the wealthy grows faster than overall global wealth. 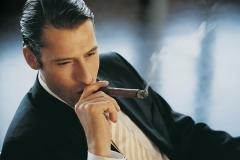 The number of millionaires in the world surged by 10 percent year, reaching 13.8 million. The study predicts that global wealth will grow around 4.8 percent a year over the next five years-though millionaires will see their wealth grow nearly twice as fast. What's driving the wealth of the wealthy? It depends on the country. In the developed world-the U.S. and Europe- it's mainly stocks. And stocks have been on a tear this year in the U.S., which has mainly benefited the top 5 percent, who own 60 percent of all individually held stocks.